With just three games on its regular season schedule, the 11th-ranked Loyola Dons appear to peeking at exactly the right time. In a makeup of a contest postponed last week, Loyola maintained a narrow first half lead on visiting Gilman, Tuesday, and stretched their advantage throughout the second half to claim a 64-50 MIAA A Conference basketball win over the Greyhounds. It was the 17th win of the year for the Dons and their fourth straight overall. Loyola (17-9, 10-5 MIAA) pushed out to an early 10-3 lead, but Gilman fought back and closed the deficit to three at the end of the first quarter. The Greyhounds remained within two (31-29) at the half, but the Dons made their move midway through the third quarter and coasted to the victory. Loyola’s Dubem Nnake scored eight first quarter points and all ten of his points in the first half to lead the Dons into halftime. Mitch Fischer led all Dons with 16 points, while Tyllian Young added 11. Malik Missouri led Gilman (7-14, 4-8 MIAA A) with 16 points. The Dons are in strong position to finish as the third seed in the Red Division of the A Conference and batting a complete collapse will be one of the eight A Conference squads who make the post-season. 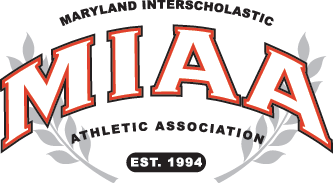 Glenelg Country (7-6) and St. Vincent Pallotti (6-6) are currently battling for the fourth and final playoff spot from the Red Division, while St. Frances (11-1) and Mount St. Joseph (12-2) are vying for the top two seeds. Gilman is still mathematically alive for a playoff spot, but with eight conference losses the Greyhounds need a number of things to fall their way to climb into post-season contention.